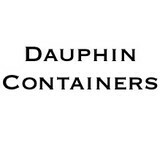 Locally owned, Dauphin Containers provides prompt, clean, and affordable mini roll-off dumpster rentals to homeowners and contractors in Mobile and Baldwin Counties. We also serve Jackson County, MS. Our 10 yard dumpster containers are the ideal size for junk removal, a bathroom demolition, or small kitchen renovation. Our 15 yard dumpsters are perfect for medium sized junk removal projects and/or a couple of bathroom demolitions or medium sized kitchen renovation. And our 20 yard dumpsters are ideal for multiple projects and hold a lot of debris. We will supply the dumpster so you can fill it, then we will haul it away, it is as simple as that! There are full-service junk removal companies in Montrose, AL that help with everything from clutter and hoarding cleanups to appliance recycling to donating unwanted items. Keep in mind that you may need professional help removing certain items from your home, particularly if they’re toxic or unstable. Here are some related professionals and vendors to complement the work of junk removal: Tree Services, Environmental Services & Restoration, General Contractors, Home Builders, Landscape Contractors. Find rubbish removal professionals on Houzz. 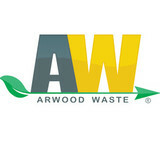 Narrow your search by city or zip code for a list of Montrose, AL rubbish removal services. Get contact information so you can ask about rates, and read customer reviews to find the best rubbish and trash removal service for your home improvement project.